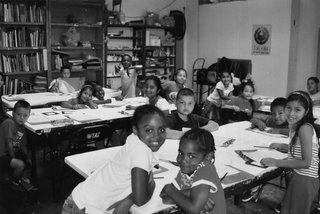 Friends of Watts Towers Arts Center (FOWTAC) is a nonprofit corporation created to support the Watts Towers Arts Center in its mission to educate and nurture children and adults through diverse cultural enrichment programming including docent tours of the Towers, lectures, changing exhibitions, and studio workshops for teachers and students. Formed in 1983, FOWTAC performs other support functions as requested by the Watts Towers Arts Center Director, Rosie Lee Hooks. Friends support the educational programs and exhibitions, and co-produces public events including the annual Simon Rodia Watts Towers Jazz Festival, established in 1976, and the annual Day of the Drum Festival, established in 1981 along with the Los Angeles Department of Cultural Affairs. These festivals are among the nation's oldest and most respected music and arts gatherings and are offered to the public free of charge. The Watts Towers were built over the course of about 30 years, from the early 1920s to the early 1950s, by an immigrant Italian artisan named Sabato Rodia (also known as Simon or Sam). He single-handedly built a mosaic fantasia consisting of three spires of reinforced cement, the highest reaching to a height of 99-1/2 feet. 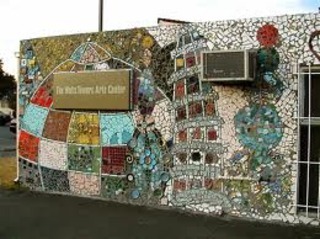 The Watts Towers Arts Center was founded in 1961 by a group of multiethnic citizens concerned with the preservation of the Watts Towers and surrounding community. The present facility was dedicated March 1, 1970. The Center offers classes, in most cases free of charge, classes and ongoing programs for children, teens, and adults in dance, music, and visual arts. An exhibition of percussion instruments from around the world, from the collection of Dr. Joseph Howard and Mrs. Bootise Howard, is on permanent display. The main gallery features rotating exhibitions including paintings, sculptures, and photography by noted artists.